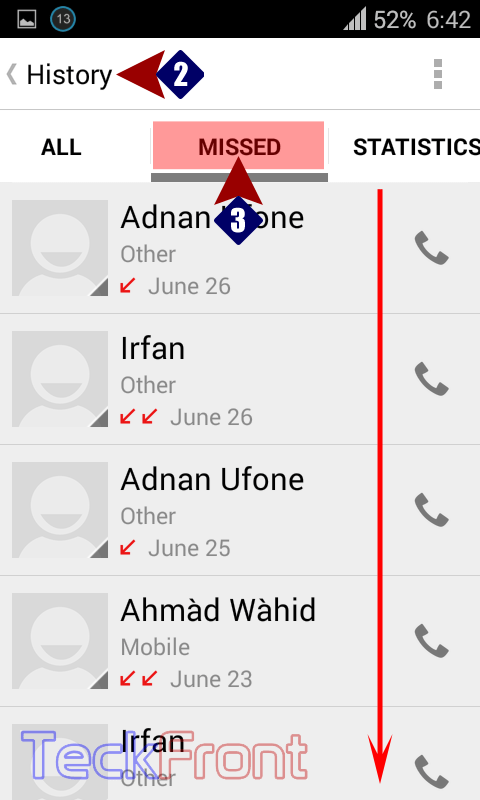 How to see MISSED Calls in History of Android KitKat 4.4.2 Phone? Attending the incoming calls, immediately, is not always possible but busy people, usually in busy environment, such as office or some other works or social environment, like to have a look upon the MISSED calls after sometimes. Android KitKat OS has a system to see the history where, along with other settings, you may see the missed call log as well. Command Line: Phone Dialer > History > MISSED calls. 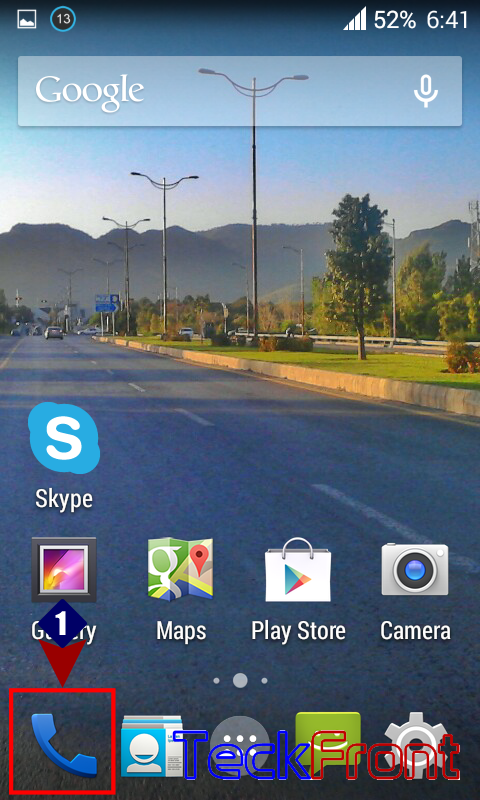 1: Tap the ‘Phone Dialer’, at the Home screen to open up the phone dialer screen. 2: At the ‘Phone Dialer’ screen, tap the history button, available at the bottom left corner of the phone dialer screen to open the history screen. 3: At the ‘History’ screen, see the ‘ALL’ tab is at the front of the screen. Tap the ‘MISSED’ button and the log of missed calls will swipe to the left. 4: Alternatively, you may swipe the screen with the help of finger to the left to bring the MISSED calls at front. 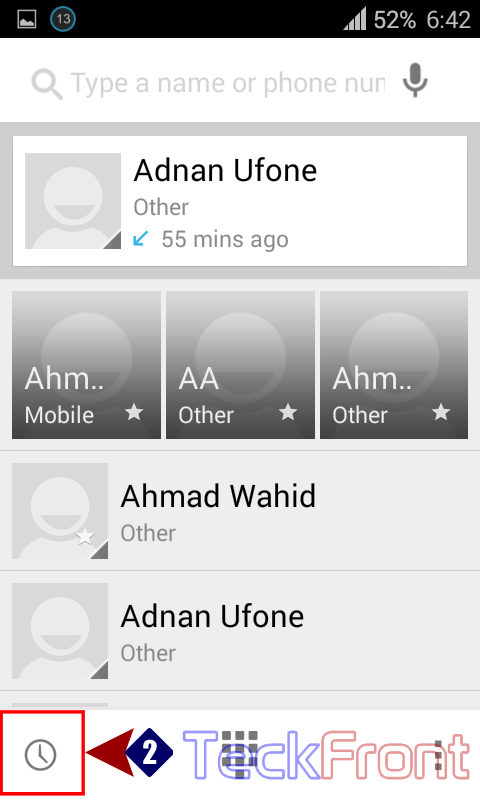 Newer How to Set Phone Contact Number for the Android KitKat 4.4.2 Phone?